Edward Abramian has over 17 years of experience in DSP algorithm design, embedded DSP software development and real-time audio software development for PC, Windows and Mac OS X. Edward Abramian started his professional career in 1997 as an R&D engineer, designing and implementing algorithms and commercial software for embedded crypto-processors that included robust watermarking of compressed audio, Feistel Network small-block cipher, Windows WDM USB driver and shell integration. Four years later Edward Abramian becomes a co-founder of Spin Audio LLC. 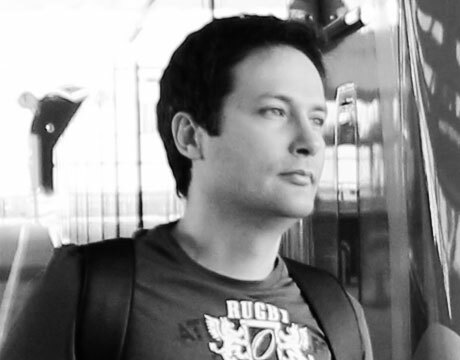 As CTO, Edward designed and developed real-time audio software for Digital Audio Workstations, ranging from room acoustic simulation, 3D audio positioning, dynamics processing, time and spectral domain synthesis to system utilities and standalone applications such as Virtual Mixing Console, ASIO Mini Host, VST-DX Wrapper. In 2007 Edward joined ARC International and continued design efforts at Virage Logic and at Synopsys. Edward designed and implemented breakthrough technologies, such as a +100hr battery-life MP3 decoder. Edward now acts as Sound Research’ chief scientist and manages automated near field normalization (NFN) automated subroutines for sound modules.